Brand Licensing Europe has unveiled a new layout for its 2016 event, giving ‘significantly’ more space to stands in the Character and Entertainment zone. BLE 2016, which takes place from October 11th to 13th at London’s Olympia, will now feature two central aisles across the Character and Entertainment zone on the ground floor. The organisers will also build two central staircases up to the Art, Design & Image and Brands & Lifestyle areas. Further to this, some stands in the Character and Entertainment zone will undergo ‘dramatic increases in size,’ in some cases up to as much as by 150 per cent. Those to benefit from the stand size increase will be Nickelodeon Viacom Consumer Products, Sony computer Entertainment Europe, Warner Bros. Consumer Products, Turner Cartoon Network, Mattel Brands Consumer Products and Hasbro Brand Licensing & Publishing. “BLE has always been a very visual event, but next year’s look set to be phenomenal,” said Darren Brechin, BLE event director. “For a visitor, navigating your way around the show can be daunting. From the minute you walk through the door you are greeted with striking images, displays, vast stands and lots of fellow visitors; we hope that by adding another main aisle it will become easier for visitors to make their way around and find everything they need. 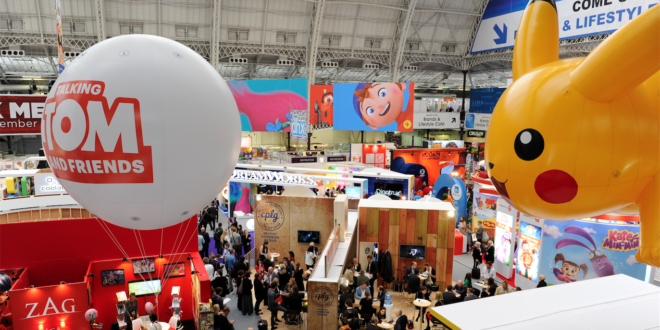 Over 150 exhibitors are already confirmed to attend the 2016 event, including Entertainment One, Ubisoft EMEA, Universal Partnerships & Licensing, BBC Worldwide, ITV Studios Global Entertainment and more.